Review by contributing writer, Nathan Hayashi. When it comes to the classic all terrain tires, BFGoodrich has a long proven off-road racing history that started in the sands of the Baja. 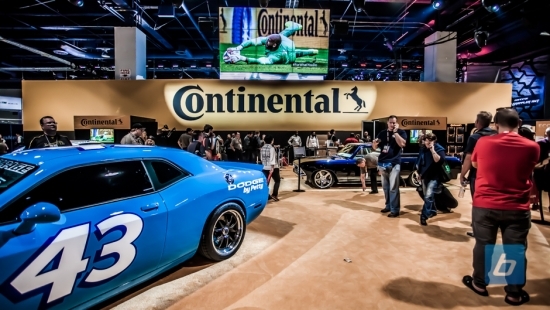 With over 25 SCORE Baja racing victories dating back to 1977, where the first BFGoodrich A/T tire made its racing debut, their tires have won both the Baja 500 and 1000. This type of all terrain was unheard of in the 70’s with the ability to offer good road performance and off-road traction without the heavy road noise in the cabin. The BFGoodrich A/T went through a few upgrades through the years, once in 1986 with its second generation taking a win again at Baja 1000 and the third generation called the A/T KO in 1999 with improved side biters. Tires are one of these purchases for your vehicle that not only enhances the performance; it can also greatly alter the looks. 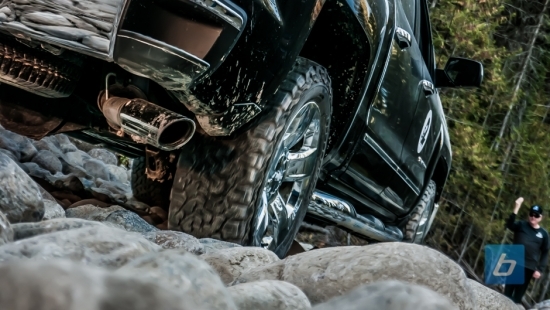 This year BFGoodrich released their fourth revision to their popular all terrain called the A/T KO2. At first glance this tire has great side biters and lugs, which will give great side traction climbing out of ruts and berms. The center tread blocks still look very reminiscent of the previous generation tire. This is a great looking tire from the side that increases its look with strong shoulders and a more modern look. It will make any SUV or light truck more rugged in appearance compared with their ordinary radial tire. 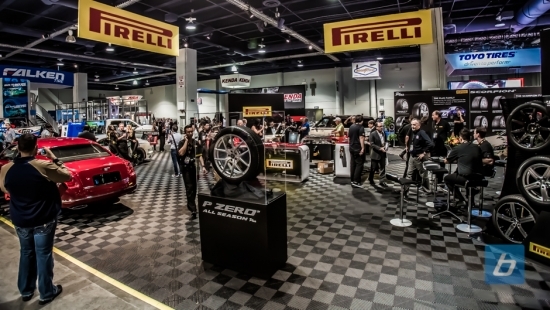 The changes aren’t just cosmetic as everything changes under the tread blocks and sidewall. The sidewalls have been strengthened to take on the worst rocks and stumps and this they tested repeatedly with a sharp anvil to make sure the sidewalls were able to take Mother Nature’s worst. Along with new sidewalls, the KO2 also features, for the first time, a certified three peak snow flake rating which is the approval from the Canadian Rubber Association (CRA) which means this tire can be driven in snowy conditions. Unfortunately the CRA doesn’t require any ice testing to be included in the requirements. 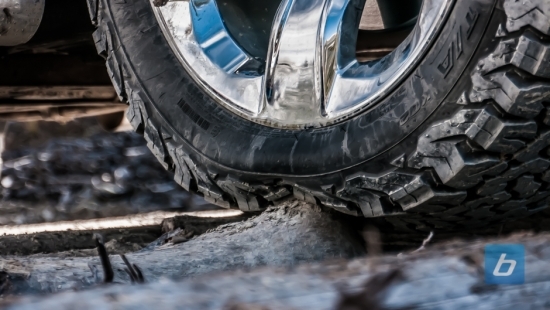 The tread also features something called 3D sipes which is apart of their CORE GUARD Technology enabling the tread block to absorb moisture better and lead to longer lasting tread life. I’m considered a minority when it comes to tires. I use winter tires in the winter, and performance summer tires in the summer. While people like myself make up of a very small percentage of drivers, most of our readers will agree that my summer tire choice is overkill for the average driver, and can be much better served by using all-season tires. 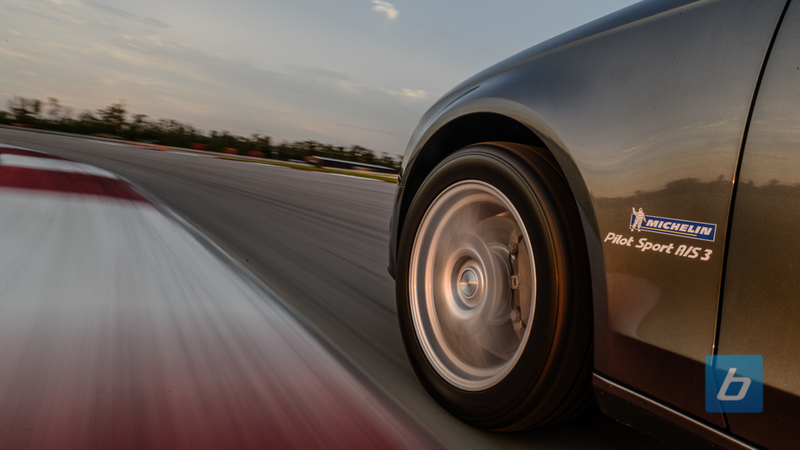 Granted, performance summer tires will give you an edge at high lateral loads in dry weather, but realistically, those kind of tire performances are really not possible (or legal) in everyday driving. 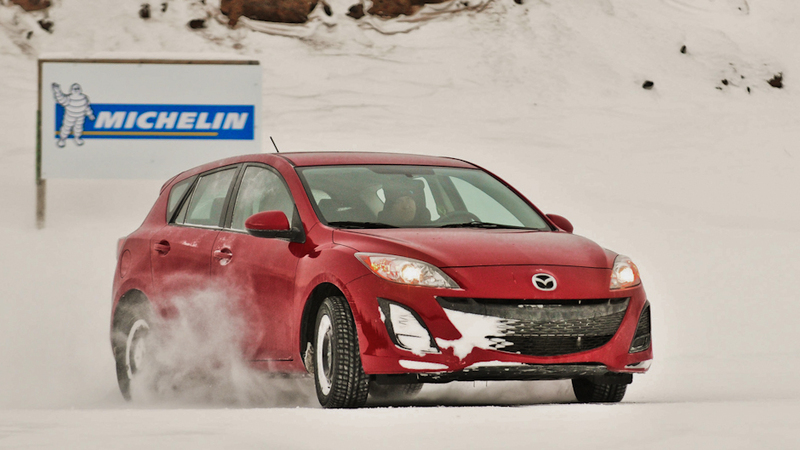 With that being said, the number of people that rely on all-season tires are staggering. In the US, most passenger cars are fitted from the factory with all-seasons, and 97.5% of replacement tires are all seasons. While the numbers in Canada are lower due to drivers choosing to use winter tires in the winter (not to mention mandating winter tires in some provinces), the fact remains that all-season tires are the de facto standard in North America. Every year, around October, the majority of Northern car enthusiasts are met with a dilemma. As the temperatures drop they’re forced to choose between leaving their summer tires on until it snows, leaving them stranded if caught off guard, or putting their winter tires on in advance, sacrificing performance and causing early wear. 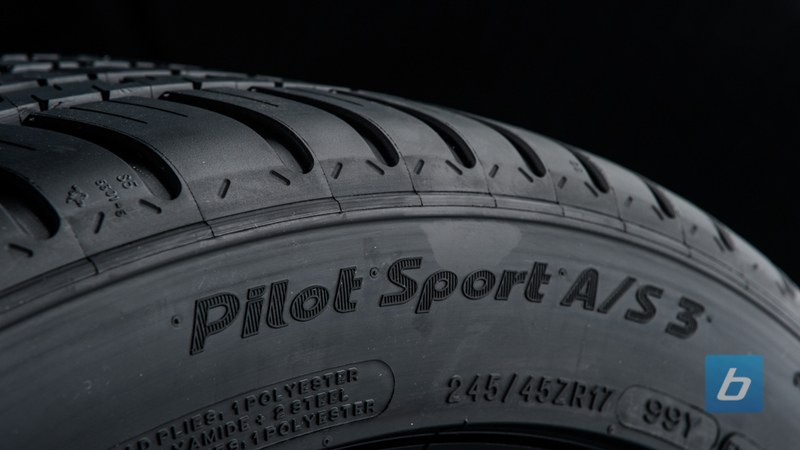 It’s a difficult decision, and one with no right answer, so Michelin is trying to help you avoid the issue altogether with their new Pilot Sport A/S 3 all-season tires. Calgary is a city that requires winter tires–like the Michelin X-Ice Xi3 we reviewed last year–there’s just no argument to be had for running one set of tires all year. This is exponentially more true if you’ve got a high performance car that can make use of extra grippy summer tires. The problem with climates like ours is that the weather can get cold long before it snows, this means that, despite dry roads, those summer tires are still hockey pucks. You’ve got the choice to keep rolling on summers, albeit with limited grip, or put excess wear on your winters. The former seems to be the most popular option gauging by how many people get caught out by the first snowfall and can’t manage leaving their driveway, let alone a commute. But winter tires can be a significant investment, do you really want to have to replace them earlier than you have to? I think not, especially if you’re not even having fun with them. Every single year, beyond members gather online and debate the merits of winter tires, and compares what works best in our climate. Over the last 5 years, winter tires threads are by far the most popular winter discussions on our forums. We have a mix of the all season tire warriors, the winter tire nuts, and the crazies like myself that drive their sports cars in the winter trying to find a winter tire that’s actually manufactured in aggressive sizes. These threads must have garnered the attention of Michelin, as they have invited us to their unveiling of the brand new 2012 Michelin X-Ice Xi3 for review (don’t forget to check out the Xi3 preview for more pics). How do you improve on something as good as the Michelin X-Ice Xi2? 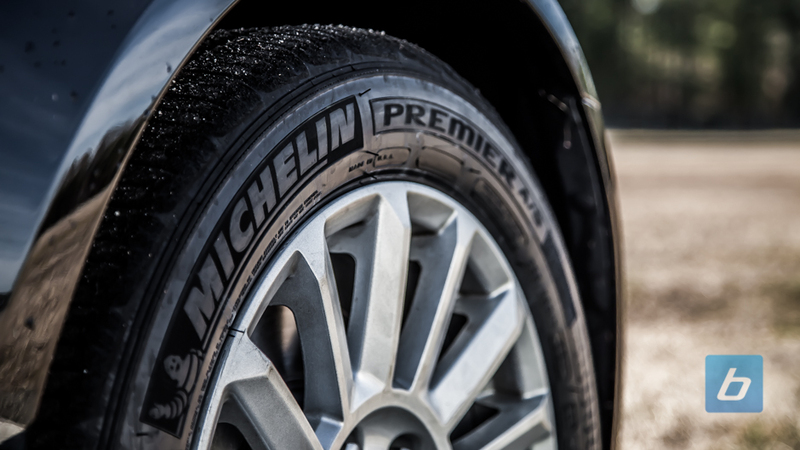 Apparently, Michelin has found a way. 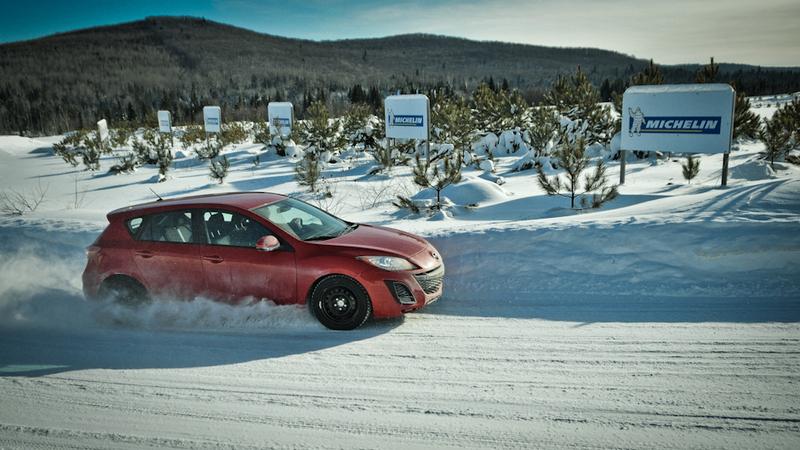 This week, Michelin is debuting the all new X-Ice Xi3 winter tire at the Mecaglisse Ice and Snow track. Like it’s successor, it’s a dedicated snow and ice tire, which are very popular (and mandatory in Quebec) on our Canadian winter roads. How much better? The ice acceleration improvements stand out, delivering a whopping 17% shorter distances to get up to speed.